With all the fun we had at the beach and site seeing, of course we had a ball shopping, and we all made a haul. My big antique score is this wonderful plant stand. 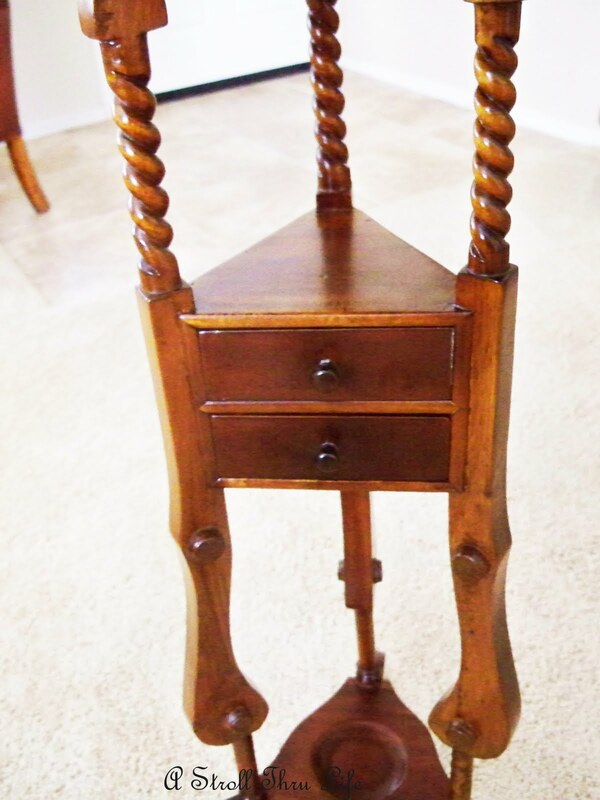 Love the detail on this piece and the two tiny little drawers. Love this jar that I got at Rogers Gardens. 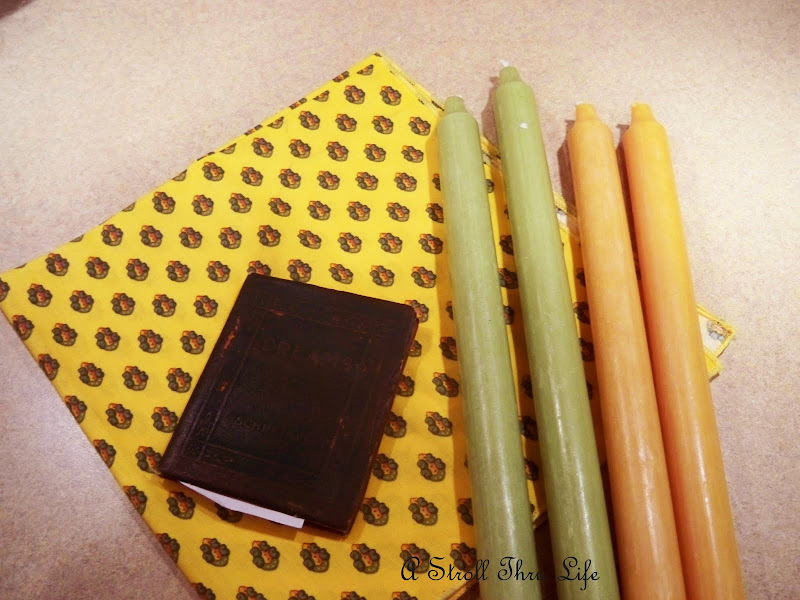 The colors are wonderful, green and orange for my family room redo. I got three wonderful pieces. 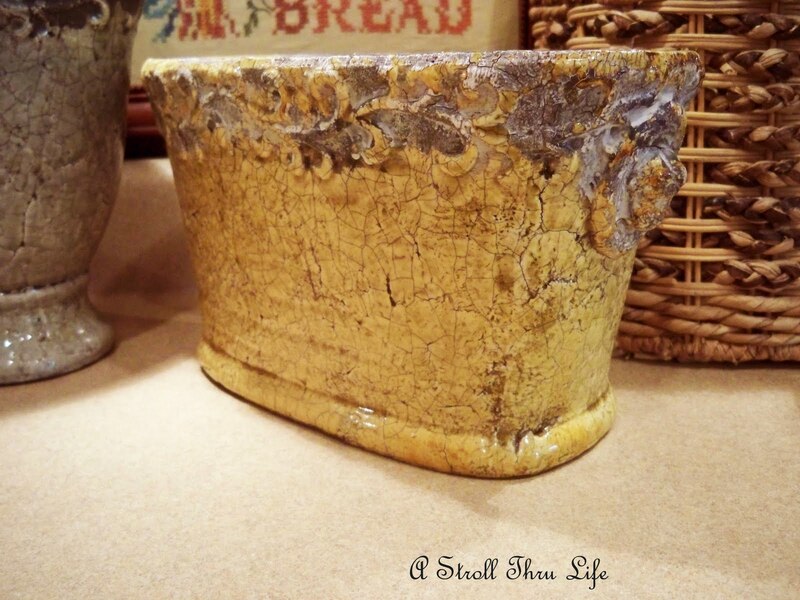 This pretty piece was made in Italy, and it will be fabulous for a plant, flowers or maybe a moss ball. This piece was also made in Italy. Love the oval shape. The napkin and candles came from the cutest little shop. They had wonderful linens, teapots and fabulous vintage things. 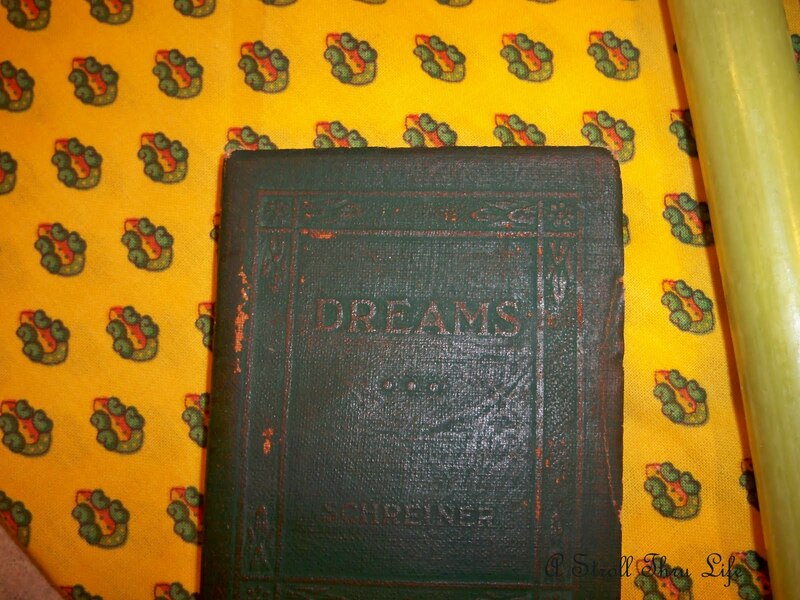 This tiny little book came from one of the antique stores we visited. It says Dreams. These 5 pieces came from Tai Pan Trading. I could have done some really serious damage in there. Thanks for stopping by, hope you all enjoyed our trip to Calif.
OH! My favorite is the oval shaped piece from Italy .... wow! I love all your pretties here but that plant stand...made my heart beat a little faster...BEAUTIFUL. Marty, I love the detail of that plant stand and love those Italian pieces. Can't wait to see the green and orange pieces incorporated into your new color scheme. Oh my...I want it all! You found some beautiful things! Those Italian pieces are gorgeous and the plant stand...oh so pretty! You got some nice things. Really like the plant stand. Tai Pan lookks like the kind of place I could do some serious damage to my bank account in. It sounds like you had a wonderful time in California and oh my, you did bring home some goodies. 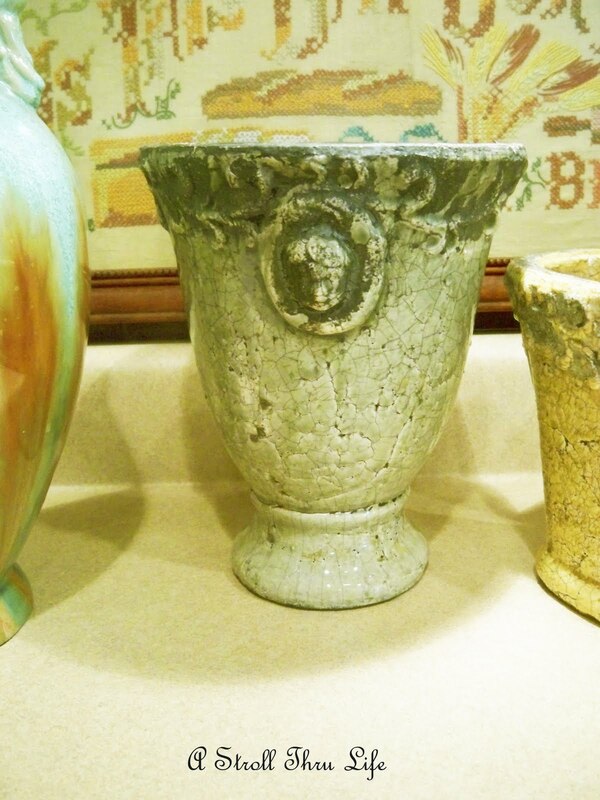 Love the urn and ceramic pieces. Can't wait to see what you do with them! I've enjoyed looking through all of your blogger friends photos. It really looked like a great time! Love all your purchases too. That Tai Pad place looked amazing! Yes, I believe you had a fantastic time Marty! 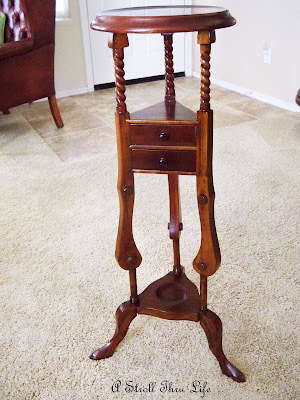 Love all of your items especially you lovely plant stand. Lovin' your little plant stand, those drawers are too cute! You sure brought back some lovely things. I can just see some of those pieces with one of my burlap runners. Speaking of which, be sure and stop by my blog today. I have a surprise for you. Love that little plant stand! The name of the store in Claremont was Barbara Cheatley's. FUN! And so nice of her to give you that napkin! I do love our little books we all got! And Rogers Gardens! TO DIE FOR huh? I hope you guys come back in October so I can take you there for their Fall and Halloween display! OMG! You'll just have to pick your chin up off the floor! And Tai Pan! KNEW you'd love it!!!!!! It was such a fun few days! I am so glad you finally came out to my neck of the woods! Wish you could've stayed longer! You sure made a great haul this time. That plant stand is so pretty..
That stand is just fabulous Marty! What a find! And those beautiful pots, I just love the colors. The shopping sounds just amazing! And so has the trip, so glad you all had such a fabulous time! Your pots and jars are all so beautiful too and I can't wait to see what you do with them. I always love it when you pop in. Hope your weekend have been good. you just had so much fun!! Those Italian pieces.....oh la la! That plant stand is just too cute. You picked up some great things. What great finds!! I love the red and green finials! Wow, Marty, you sure found some great stuff for your redo! Wonderful! My first thought as I was reading this was that I can't wait to see how you will use them in a tablescape or vignette. I love that little book. I'm very drawn to books, and the plant stand alone is a super score! I can't wait to see what you do with these lovely pieces-I know it will be spectacular. Just realized that I have never joined your blog-what an oversight! Espacially since I stalk-excuse me visit you every day! I will join right this minute! Ooo...pretty things. I love that tall skinny green treasure in the last picture! Oh! Great finds! 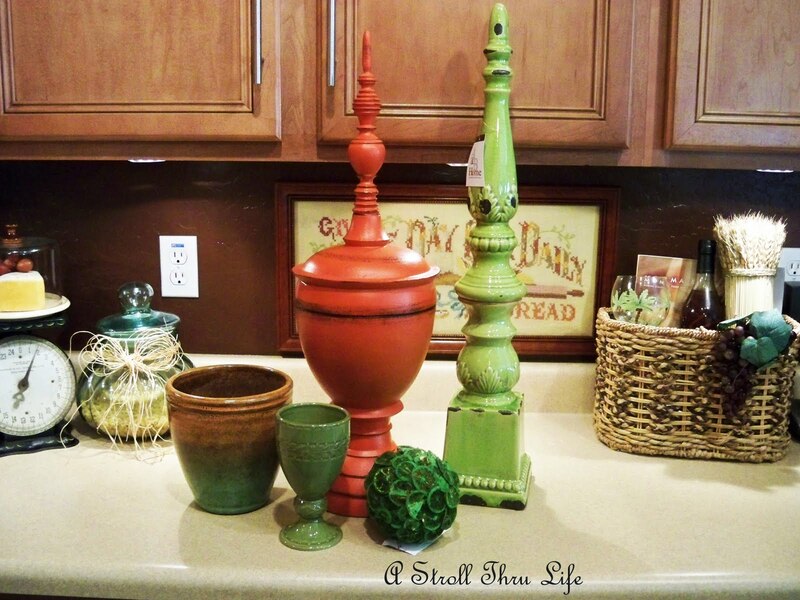 I am in love with that little plant stand; the pottery pieces are fabulous. I can't wait to see what you do with them! Those really great finds. 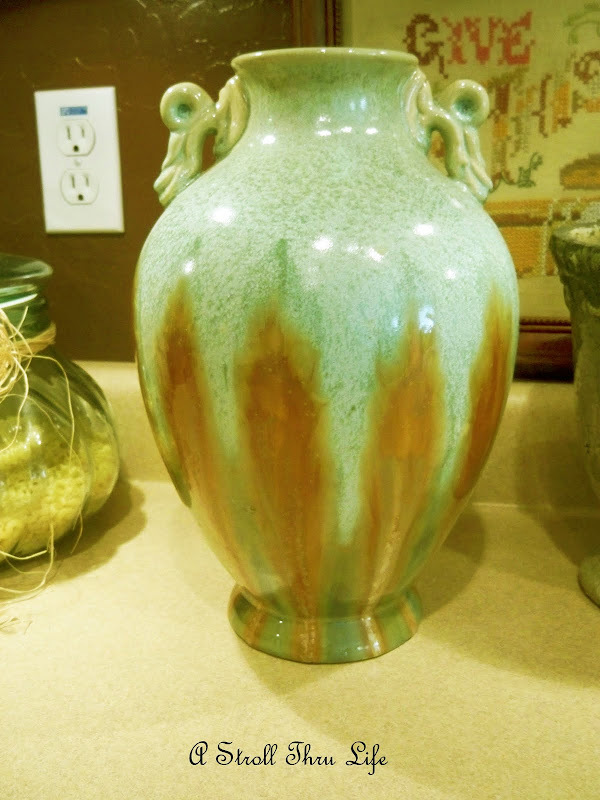 You can't have too many of the pottery pieces. By the way, I like the way you mixed the towel colors in your bathroom and the transfer-ware tray is beautiful.